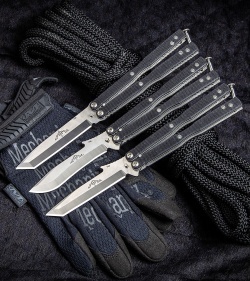 The Emerson Commander Tactical Balisong is built for tactical combat use, and is not ideal for the sport of flipping. 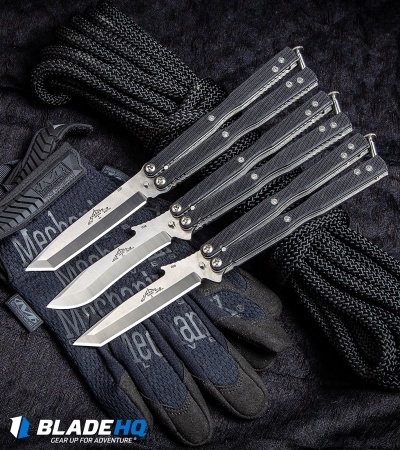 Its recurve blade utilizes a thumb ramp that resembles the Emerson Wave, and has a lower protrusion that acts as a finger guard. 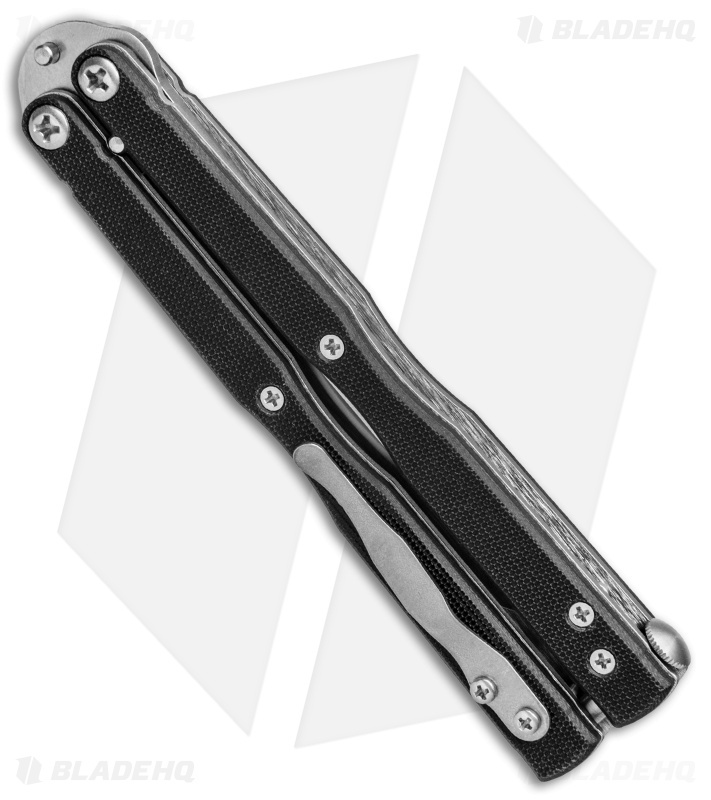 Textured black G-10 handle scales and expertly placed jimping provide a secure grip in a variety of holds. Phillips head screw design for easy disassembly and maintenance. Removable, reversible pocket clip allows secure everyday carry. 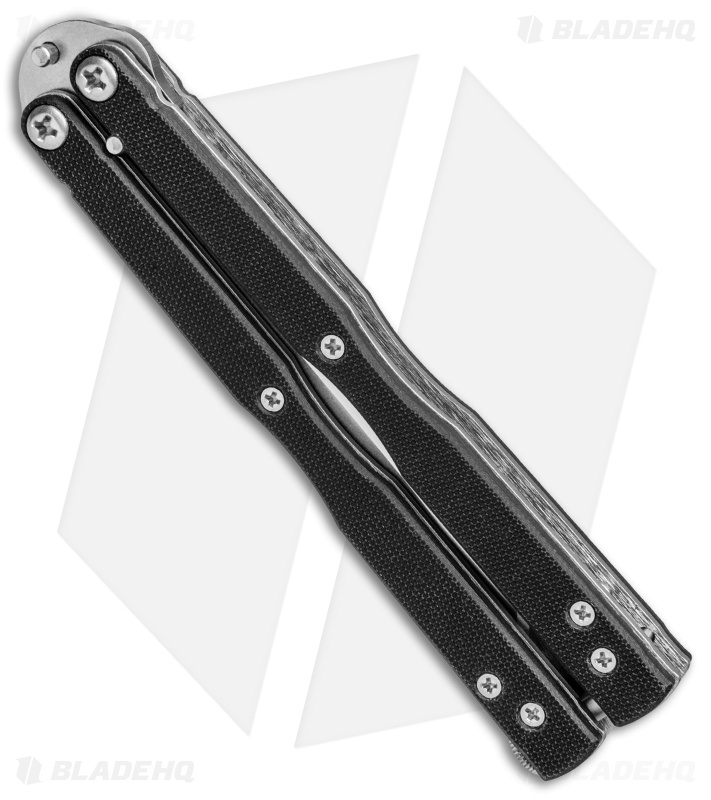 154CM blade steel offers excellent resistance to corrosion and wear. Way too overpriced. It looks great and is a sturdy knife but not an everyday flipper. The scales on it are more like sandpaper and are very grippy, almost too grippy. You're really paying more for the brand than you are for the quality. Pretty basic materials and pretty basic knife. Good for the collector in mind though.